In the latest issue of Nature Magazine published on November 23, 2017 (Volume 551 Number 7681 pp413-528), Profs. WU Ji and Roger-Maurice Bonnet, the two founders of ISSI-Beijing, make use of their long experience as space agencies leaders to stress the importance of maximizing the impact of space science missions on the production of new scientific knowledge. “As space agencies and institutes from around the world gather at a forum next week in Beijing to identify principles for maximizing returns on such missions, we call on them to put science first”. 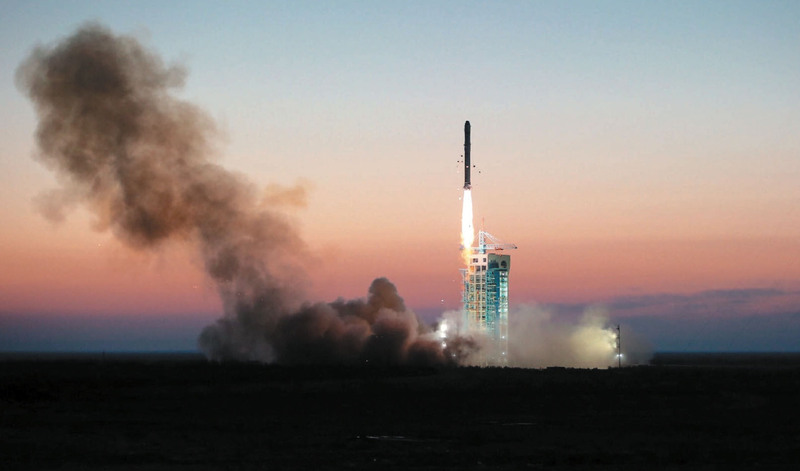 The Dark Matter Particle Explorer satellite launched from China in 2015 is the perfect example of a science-driven space project. It was designed from the very beginning by the scientific community with the unique goal of studying dark matter by detecting γ-rays, electrons and cosmic-ray ions. This message of wisdom on good practices in space science missions management is particularly relevant at a time when more and more countries want to contribute to space science, which is broadly seen across borders as “an engine of fundamental research and technology development”, they write. In their vision, the ideal process should be bottom-up and start from the scientists. First, space agencies should work with the scientific communities to “reach a consensus on which scientific frontiers are most likely to yield a major break-through”. Then a formal Announcement of Opportunity focused on these frontiers would solicit mission proposals from the scientific community again. The selection of the best missions then has to be done by committees of scientists carefully appointed to avoid conflicts of interest, using two criteria: impact on the production of new knowledge, and community involvement. They also recommend that the agencies keep control of the mission budgets to preserve a good balance between the different missions and to avoid cost overruns. Once a mission has been flown, it “must be evaluated against the criteria that led to its selection. Managers should assess whether the mission has produced the expected break-through…”.